As we move toward maturity, over time and through circumstance, we will start to develop exciting new ways of thinking. We engage the Word and combined with our relationships with people we start the work of God. We soon learn that the Kingdom of God flows through relationships, almost exclusively. Pain and sorrow are some of the more intense ways the Lord reaches down and into our lives. I think that as we dwell on this we will start to see the hand of God, moving things around in our complicated lives. As we attend class in this school of the Spirit, we learn things that will change our life and ministry. But we must consider that we can waste our pain and sorrows by not engaging the issues properly. Will I submit, or will I grow sullen and cynical? Will I worship through my tears? Surrendering to Christ is not a once-in-a-lifetime event. It is a daily, and even hourly process. I regard any kind of cynicism though, as a hungry predator who is hunting me. Very dangerous, and I am highly suspectable. Pain is the way the Father reaches me, he isn’t too concerned about our comfort (it isn’t the real issue, after all.) When I hurt, I invaribly look for Jesus. And that cannot be all bad. Through the trials and pain I begin to reconnect with my Father. Without the trials, I doubt we would ever call out for His help. “Don’t waste your sorrows.” It is easily said but seldom done. We start to stagger by the weight of our personal issues. Overwhelmed by the pain we start to panic and grab things, and throw them overboard, to lighten the load. We can be confused, and will do whatever we must do to stay afloat. But unless we take these sorrows well, we are just short-circuiting God’s intentions. The darkness intends to absorb us. Satan uses our own bitterness and frustration to do this. Our discipleship is no longer valid if we commence doing our own will and desires. Even though we get “flaky” the Father will always love us. But we dare not waste our pain, it comes at too big of a price. Lately I’ve been contemplating pleasure vs. pain. Many poor decisions get made in the midst of our pain. And, many poor decisions get made in the midst of our pleasure. And in variably one set of decisions affect the other set in reciprocal fashion. I think, in large part, our challenge in the struggle of the Spirit against the flesh, is to gravitate towards making right decisions in the midst of both our pleasure and our pain. God’s Word and prayer are key. I become convinced of that more and more every day. But, oh, it’s hard . . . This has me thinking, about His pain too . . .and not wasting any of it. Also thinking alot about the relationship aspect, of the kingdom of God flowing through them. You have packed so much meat in this one! Thank you and God bless you and fill you up. TY, dear one. He suffered so deeply for the least of us, I’m guessing that if we can lower our sins, we can help Him to process His sufferings. I don’t want Him to suffer all those things I deserve. But I will receive Him, and accept whatever is from Jesus. 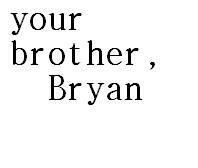 This, Bryan, is one of your best in my opinion. A keeper. Thanks so much, but I now have created close to 1000 posts on this blog. But I need to admit, I very much am blessed by your opinion. This was a blessed post, for sure.